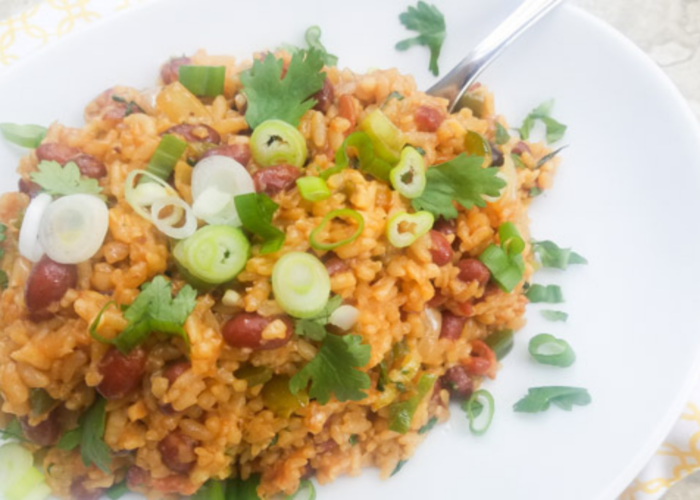 This recipe is a delicious blend of white rice, stewed beans, bacon, onions, peppers and spices, combining to create the most flavorful rice. It's a perfect side dish for pork chops, steak and chicken. 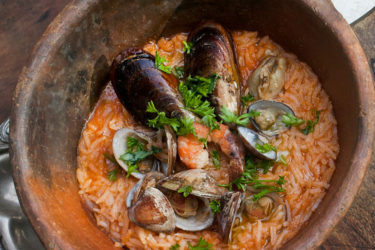 Today I'm going to take a step away from Mexican dishes and savor another delicious Puerto Rican dish, Arroz Mamposteao. On our beautiful island of Puerto Rico, rice is a staple and an absolute must. It is consumed at almost every meal without fail. However, from all the multitude of rice dishes we have, this rice dish is by far one of my favorite of them all. So what does this long word translate into? 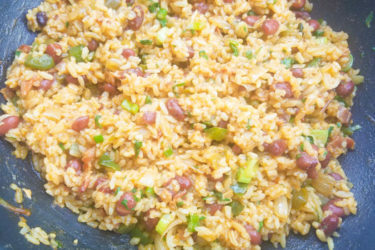 Arroz mamposteao basically translates to stewed beans and rice. 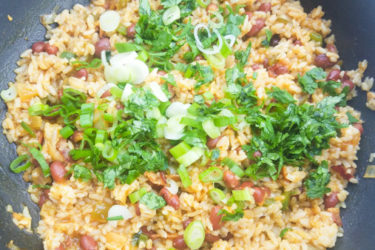 This iconic Puerto Rican rice dish originated from the need and want to make a different dish with leftover white rice and red stewed beans from the night before. 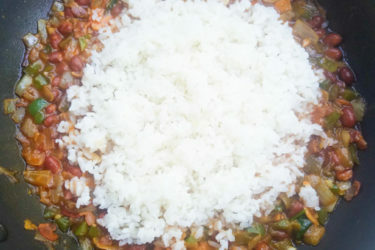 However, although it is common practice to use leftover rice and beans, this rice has become so popular that restaurants throughout the island will purposefully make white rice and stewed beans just to make arroz mamposteao for their patrons. And sometimes I do the same when I don’t have leftover rice and red beans. I just love the flavor. 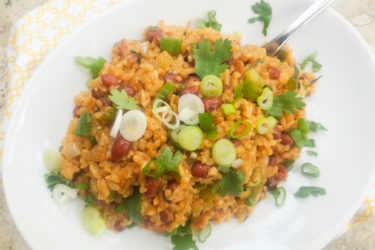 The rice and beans are combined with Puerto Rican spices, and the flavor and texture of the beans and rice are then taken to another level while still being moist and creamy. 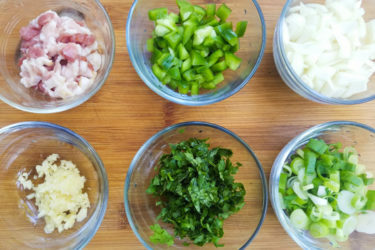 All Puerto Rican homes and chefs have their own way of making arroz mamposteao, but certain ingredients are universal. 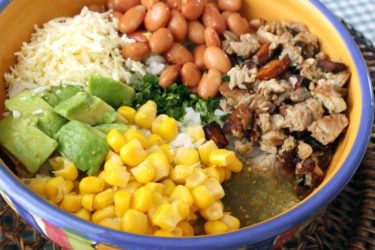 Of course these include rice and beans as well as garlic, onions and peppers. But traditionally, you also add pieces of either chopped ham, chorizo or bacon. Sometimes you will even see ripe plantain pieces mixed in with the rice. 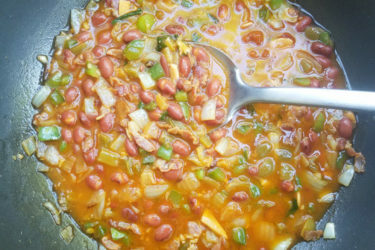 Traditionally you already have homemade Puerto Rican stewed beans available; however if you're not in the mood to make the beans, a good flavored can of already seasoned red beans will work. WARNING: These will not produce the same flavor in the rice, but will work in a jam. But keep in mind, nothing beats a good pot of homemade Puerto Rican beans. (You can usually find pre-made seasoned canned red beans in the Latin section of your supermarket.) However, I will also include a recipe for “habichuelas guisadas” (stewed beans). Start with sautéing the bacon (cut into small pieces) in a skillet. Then add the peppers and onion and sauté for a few minutes. Add the chopped garlic, soy sauce and stir. Sauté all together until onions are translucent. Your rice is ready. Serve with more chopped scallions and cilantro. Accompany with grilled steak, chicken, fried pork chops, or your protein of choice. 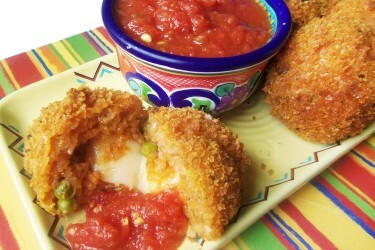 Serve with avocado slices and enjoy! Add beans, garlic, ham bouillon (or if using ham steak, sauté for a few minutes), sazón, water and tomato sauce. Let cook for 15 minutes. Add cilantro and salt to taste. Cook for another 15 minutes. Done. In a skillet over medium heat, sauté the bacon until golden brown. Drain some of the excess fat out of the pan but keep some in for flavor. Add peppers and onions and sauté until onions are translucent. Add garlic and sauté for a minute. Add soy sauce and stir. Add a cup of the cooked habichuelas guisadas (or the seasoned can version). Stir and mix well. Cook for 2-3 minutes. Garnish with extra scallions and cilantro on top. Serve with fried or baked pork chops, grilled steak, chicken or whatever protein your heart desires. Nowadays, it's much easier to find prepared versions of Puerto Rican spices and beans in your supermarket. If you are using seasoned can beans, try and see if your supermarket has the Goya Brand "Red Beans in Sauce" these come in a 15 ounce red can that says "Heat and Serve." It's usually found in the Latin or International aisle of your supermarket. Not the blue Goya can, these are used to make homemade beans from scratch. Sazón can also be found in the Latin/International aisle. 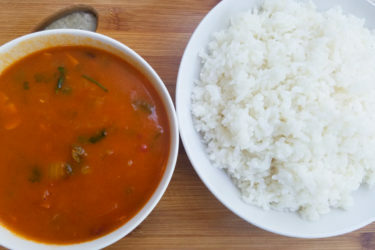 If you're making the "quick" homemade "habichuelas guisadas," you can choose to buy a "pre-made sofrito" by Goya that comes in a glass jar; the sofrito is red.